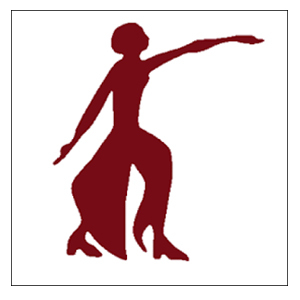 GSLAC President's Message - Greater Salt Lake Alumnae Chapter-Delta Sigma Theta Sorority, Inc.
On behalf of the distinguished women of the Greater Salt Lake Alumnae Chapter of Delta Sigma Theta Sorority, Inc., it is truly my pleasure to welcome you to our website. Since its chartering in 1988, the Greater Salt Lake Alumnae chapter, formerly the Ogden Alumnae chapter, has been engaging in various service projects centered on providing assistance and support to our local community through our nationally established programs in the areas of Economic Development, Educational Development, International Awareness and Involvement, Physical and Mental Health, and Political Awareness and Involvement, collectively known as the 5-Point Programmatic Thrust. Specifically, the Greater Salt Lake Alumnae chapter has created a series of events to raise awareness of and advocate for those most vulnerable in our society. During the 2017-18 sorority year this included a panel discussion on the "State of Black Women in Utah”, and a film screening of "Standing on My Sister's Shoulders" co-sponsored by the Salt Lake City Library. Additionally, our Dr. Betty Shabazz Delta Academy and Delta GEMS programs offer mentoring, exposure to STEM, and skill development to prepare young girls for full participation as leaders in the 21 st century. Our chapter appreciates our collaborators and sustained partnerships with groups like Discovery Gateway, formally known as the Utah Children’s Museum to offer educational exposure to the work of Dr. Martin Luther King, the Northern Utah HIV/AIDS Coalition, and Project Success Coalition with the Utah Juneteenth Festival. If you have an interest in partnering with us, feel free to contact me atutahdst@gmail.com. We look forward to working with you to provide strategic programming and services to strengthen and empower the communities we serve. Be sure to visit our website regularly to learn about our upcoming programs, and to join us for an event or service project. Deltas are on the move in Utah!